Some players pamper and polish their guitars carefully, aiming to keep them in mint condition. Others carry them around outside without a case or leave them lying on the floor where anybody could step. If you want to protect your guitar from damage, here are a few tips. 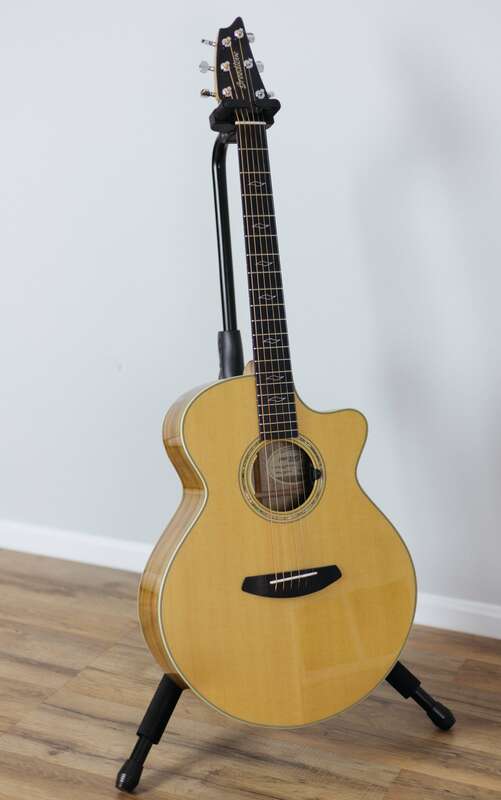 Since guitars have such an awkward shape, even a professional will sometimes accidentally smack something with their guitar. Be mindful when holding your instrument and put it away when you’re not playing it. Sit in a spacious area free from obstructions. And be careful not to whack the music stand with your guitar. 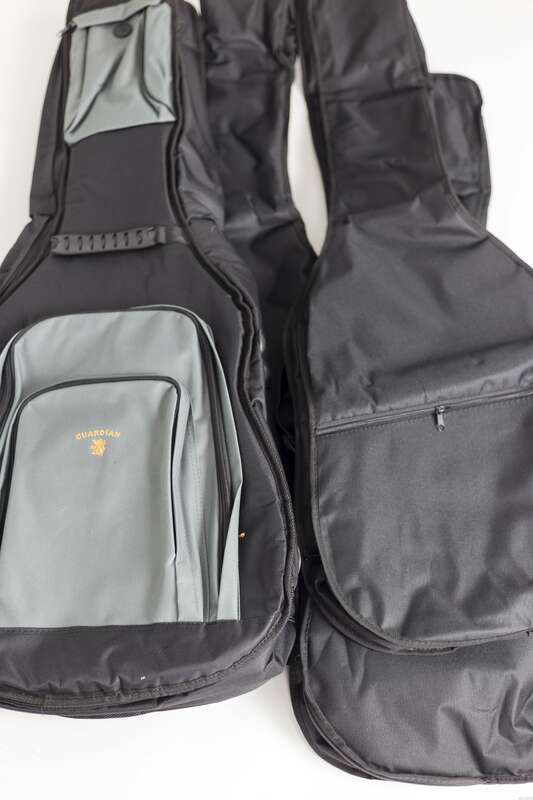 Your guitar needs a properly-fitted gig bag. A good gig bag or case can protect your guitar from the perils of travel outdoors. If you carry your instrument around naked, it will be exposed to rain, and all kinds of nicks and dents. It’s ideal to travel with a hard-shell case. But who wants to carry one around? The good news is that as long as you will keep possession of the instrument at all times, a good gig bag will do just fine in most cases. You can use a gig bag for travel by plane, train or automobile. The instrument is most vulnerable to damage when it is handled by someone else. Just make sure you always carry-on your instrument when traveling with your guitar. A guitar in a gig bag should not be stowed in the cargo bay. In 2012, the US Congress mandated that airlines allow passengers to carry-on their musical instruments free of charge, providing that it will fit in the overhead compartment. See the full bill here. There are stipulations and exceptions, but essentially the airliner must accommodate the instrument if there is room for it in the overhead—so board the plane early, and if necessary be prepared to quote this law. Just remember that it’s important to be patient and courteous to both ground staff and flight attendants. Extreme heat can cause the glue binding the guitar to soften. When this happens, the strings can rip the bridge off. Extreme cold can dry the air and cause humidity problems. Extreme humidity can cause the guitar to warp, though most warping seems to come from extreme dryness. This draws the moisture out of the instrument and causes the wood to crack. In most cases, these cracks can be repaired—for a price. A guitar properly at rest is a safe guitar. If you’ve got the means to build an extensive guitar collection, consider getting your own guitar room. It’s fairly simple. You just need a closed room with a thermostat and humidity gauge. Smaller rooms are easier to maintain. Strongly recommended: Oasis Humidifier[? ]Affiliate Link, other humidifiers being advised against. If you have any nice wooden guitars, a Error. Link not found. can help you keep an eye on humidity.